A few weeks ago Mary Jo Foley had asked me whether she could use the Mac vs PCs picture I had composited for a post I did earlier this year for her new business cards, of course I agreed. Just yesterday, she sent pictures of the new cards printed straight from moo. They definitely look cute. I thought since a few other people (probably more PCs than Macs) might feel like using this picture for stickers and what not. So instead of making them feel guilty of stealing, I’m now distributing the image under the Creative Commons Attribution-Share Alike 3.0 license. In essence this allows anybody to use this image for both personal and commercial purposes for free, as long as you provide attribution in some way or form (best not to ruin your card/sticker). You are also allowed to modify and redistribute the work under the same license. At least that’s what the legalities are, I didn’t say this but do whatever. Besides a lossless PNG, I’m also putting up a layered Photoshop file so you can add/remove/edit any of the individual characters, borders or text as you wish. No offence Long but aren’t the characters you used in the graphic owned by the Comedy Channel? In other words legally you have zero rights to begin with. @tom: You’re right, South Park is copyrighted to the Comedy Channel. However, these characters are just composed of the same shapes as the South Park ‘characters’. I guess as long as you don’t claim Kenny, Cartman and the other main characters as your own, it’s not outright illegal. 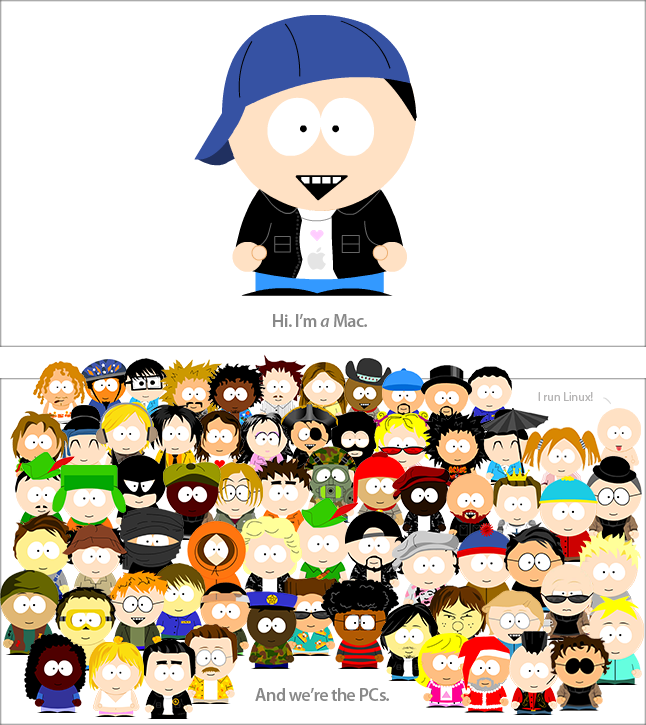 These characters in particular were created by South Park Studio (http://www.sp-studio.de/) which allows to works to be distributed as long as there’s no profit. Long Zheng, respect to you for giving your creation away for free.